Pose 4 Paws Fundraiser is Mid-Oct. to Early Nov.
Time to order graduation invitations! Call to schedule your design appointment. 952-890-7640. Rod and Stephanie talk about tips to doing it yourself, or, hiring a professional for the holidays. We brought holiday special samples with us showing how to create amazing artwork for the holidays with your pictures, if you hire a pro! A compilation video of all our 2018 high school senior photography sessions. Here are some of our favorite images from the past year. Booking Class of 2020 NOW! Free Sessions in May! Learn more about Stephanie Oman and Rod Oman and The Imagery from behind the scenes as you tour the studio, see samples of work, and finished product for HS Senior photography. Headshots creating a new look and brand for an updated website. St. Paul, MN location for graffiti, special request for HS Senior Session. Sibling Sessions, Formal Uniformed Attire. Military Discounts Available. Horse and Hunt in Prior Lake, MN. Summer weddings. Complete re-brand for Styles and Statements, personal stylist and shopper, Stacy Drake. Location session with dancer, St. Paul, MN. Fall family session in the leaves with our Goldendoodle Pixel. Wedding dance in black and white, Glenhaven Events Center. Spring Wedding, Farmington, MN. Summer HS Senior session with colors that look like fall. Sumac in the back Portrait Park at The Imagery. Indoor Portrait session in the winter, rustic barn wood and stone. Smoke and lockers in upstairs indoor studio of The Imagery with Lakeville North Senior Class of 2018. Indoor studio with stone wall background. HS Senior Portrait Session. Styled by The Imagery with clothing from our glam closet. HS Senior session. A prom dress look from the glam closet at The Imagery. HS Senior session. St. Paul Location shoot with graffiti and ballet shoes. Dancer and HS Senior session. HS Senior crazy about the Renaissance Festival and letting us play in a creative HS Senior session. Props provided by the HS Senior. Classic indoor family portrait with dogs. Classic indoor headshot portrait in sepia town for HS Senior. Grandparents and their kids and grand-kids, fun family outdoor photo at The Imagery in the Portrait Park with barn wood background. At the Imagery we know how to create powerful headshots that match your branding. Your photo should reflect your personal and professional style. Get the Bestselling Book on Amazon for Preparation for Your Session! An Amazon Bestseller in 3 categories! Prepare for Your Perfect Portrait: Clear, Confident, and Camera Ready to Get the Most from your Professional Photographer. A must read for anyone planning to hire a professional photographer. Family and Senior Preparation are the most frequently needed for our studio, so I'm providing parts of those chapters FREE for you to download. Enjoy! If you are planning a family or senior photo in 2019, then we recommend you check out our bestseller on Amazon "Prepare for Your Perfect Portrait" by the Imagery's own Stephanie Oman. Be sure to order your copy! We've included a link to some important chapters here, that you can download for free. We are celebrating 20 years as The Imagery in 2018-2019, serving personal milestones and corporate needs in photography throughout the south metro area of the Twin Cities and beyond. A native of Duluth, and now seven time Twin Cities Photographer of the year award winner, Rod has been working as a full time professional photographer all over the state of Minnesota, and The Imagery has brought repeat clients in from as far as Florida to come back for their family milestones! We'll have an exciting first half of the year loaded with specials, from ice castles in St. Paul and Stillwater and Eden Prairie, to Easter specials on location at our studio in Burnsville, to photographing HS Senior Class of 2020 that come from all over, including Lakeville, Prior Lake, Eagan, Apple Valley, Savage, Shakopee, Farmington, and Rosemount. Just this past year we have worked with families, children, pets and HS Seniors as far south as Faribault and as far north as Orono and Anoka in the Twin Cities area and Brainerd, Pequot Lakes, Duluth, and Fargo and Moorehead in northern Minnesota and North Dakota. As far east as River Falls, Wisconsin and as far west as Waconia. 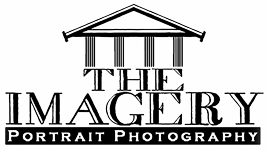 Thank you for a wonderful 20 years as The Imagery Portrait Photography Studio.